The all-new Ford Explorer – America’s all-time best-selling SUV – is designed to provide its quietest interior ever, thanks to a first-for-Ford breakthrough that helps keep noise out and delivers a more comfortable ride for passengers. Explorer passengers will enjoy that sense of peace and relaxation courtesy of three sound-reduction features – a first-for-Ford dual-wall dashboard, acoustic glass and Active Noise Control, available only on Limited Hybrid – designed to combat engine, road and wind noise in the cabin. Explorer’s new dual-wall dashboard is designed to ensure passengers enjoy a cabin free from engine noise caused by vibrations that can manifest in a humming sensation. 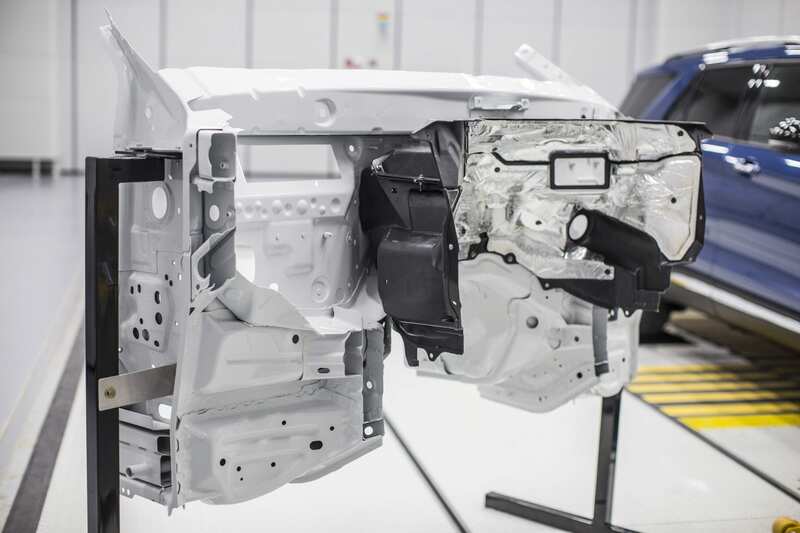 Separating the engine compartment from the passenger cabin are two walls – one of which is made of sheet-molded composite material – with an air gap in between. The dual-wall dashboard, which significantly reduces the traveling sound that comes with a running engine, mimics a semi-anechoic chamber similar to those used in noise, vibration and harshness testing at Ford’s driving dynamics lab. Parker Lewis, Ford noise, vibration and harshness engineering manager, says keeping noise out of the cabin with the dual-wall dashboard is similar to the technology used to keep drinks hot or cold. Keeping wind and road noise out is key to creating a quieter cabin that passengers can enjoy, but identifying how that noise gets in in the first place is just as important. Just like the multiple layers of the new dual-wall dashboard, Explorer’s windshield and front side windows have not just one layer of glass, but two. These layers are separated by a sheet of clear plastic, creating layers that serve as a buffer between the interior and the outside world. As new powertrain technology finds its way into today’s vehicles, it can make for unique sound experiences for passengers, so the root cause of noise is not limited to that created by propulsion, wind or the road. Low and mid-frequency noise can contribute to driver fatigue, while higher frequencies can inhibit the ability to hold conversation in a moving vehicle. Ford’s solution is Active Noise Control – available only on Explorer Limited Hybrid – which uses strategically placed microphones throughout the cabin to listen for and pick up on unwanted frequencies that contribute to noise conditions. Once unwanted frequencies are discovered, the system cancels them out by producing opposing sound waves that come through the audio system speakers. Together, the dual-wall dashboard and acoustic glass work to insulate passengers from unwanted sounds, while Active Noise Control cancels them out if they make it in at all, giving the all-new Explorer a noticeably quieter interior. By establishing test parameters through decades of SUV customer feedback, Lewis says an engineer can not only determine the level of quiet a buyer wants, but identify areas where the all-new Explorer can be made even quieter. “How all those pieces and elements coming together fit, and what they are made from are critical questions for us to ensure proper assembly to reduce gaps that can allow wind noise in in the first place,” says Lewis. A new driving dynamics lab is the latest addition to Ford’s suite of noise, vibration and harshness testing facilities. The lab allows engineers to test vehicle sound in different settings, including a semi-anechoic chamber with powered rollers to simulate road noise, and in temperatures ranging from minus 40 degrees to 140 degrees Fahrenheit to shrink and expand materials that may cause squeaks and rattles. Different parts of the vehicle are tested in the lab’s anechoic chamber and reverberation suite. The first provides an area free of echo and reverberation and creates a pure working environment for sound, while the second is used to determine how noise permeates full components or materials, such as sheet metal. 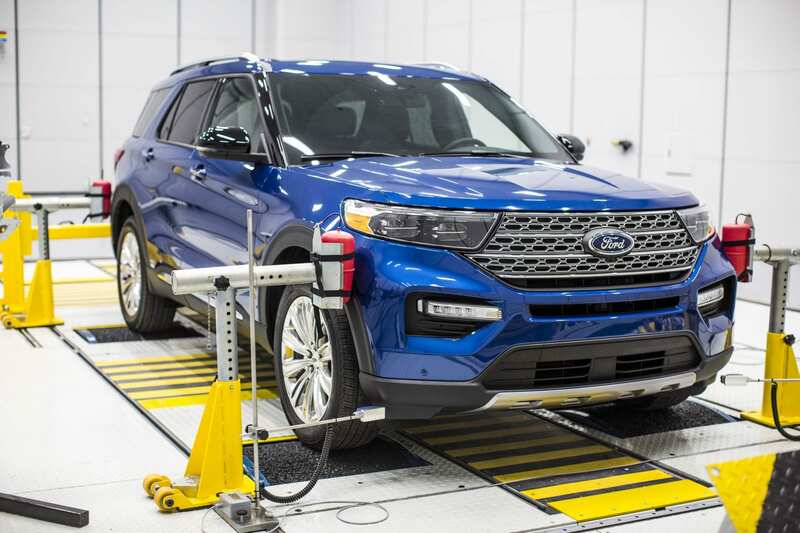 The all-new 2020 Explorer is the first product to emerge from Ford’s new driving dynamics lab. The all-new 2020 Ford Explorer is not only quieter, but features lighter, leaner and stronger construction, the broadest model lineup ever, more powerful and efficient EcoBoost® engines versus the 2019 Explorer, and smart new technology to help tackle all of life’s adventures. Explorer’s recrafted, quieter cabin offers more space and technology, including available 10.1-inch portrait-mounted touch screen with full-screen maps, plus traffic-sensing Ford Co-Pilot360™ driver-assist features that can help reduce stress such as available reverse brake assist and Active Park Assist 2.0, which handles steering, shifting, braking and accelerator controls during parking maneuvers with the touch of a button. The all-new Ford Explorer is manufactured at Chicago Assembly Plant and arrives this summer. 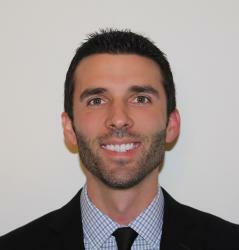 For more information and pricing visit Lasco Ford in Fenton, Michigan or on their website.